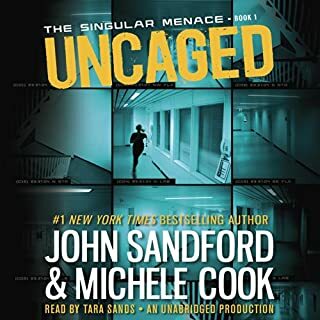 John Sandford's acclaimed Prey novels featuring the brilliant Lucas Davenport have plunged millions of readers into the darkest recesses of the criminal mind.... When Lucas and his team gun down two bank robbers in the middle of a heist, Davenport falls prey to the purest and simplest criminal motivation: revenge. Prey tell: listen to another Lucas Davenport thriller. I am a fan of the Davenport series. 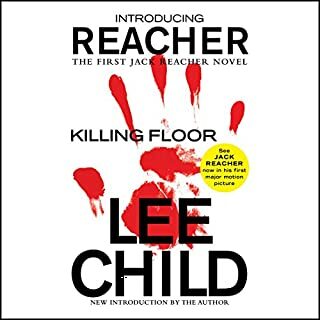 I started reading and listening late in the series and decided to start at the beginning and haven't been dissapointed. Although I enjoyed this book, I did not like as much as the others. It seemed to sacrifice a solid story line for constant action, near misses and close calls. I was ready for it to be over about 2 plot twists before the end. I thought the antagonists were inconsistent in their behaviors, and there were some unanswered questions at the end that I can't go into detail about here without spoilers. Maybe they will be resolved in the next book, or maybe they were just loose ends. There are some seriously pivotal moments regarding his personal relationships that will probably play out in the next book, so I am guessing that if you skip this one, you will have some missing backfill in the next one, but I have not read that one yet so I am not sure. Yes I would. It's part of a series that I am enjoying very much. Yes. Not knowing where the next cop would be attacked, or where, made every moment intense. His changing vocal inflection for the different characters is so subtle, yet, distinct, you start to recognize the characters by their conversation. No. I listen to audiobooks when I go to bed. Depending on how tired I am dictates how many nights it takes to complete a book. You enjoy Lucas Davenport? You'll enjoy Sudden Prey. The plot's thinner than writing paper, but Sanford knows how to manipulate the tools of the genre to make this thing work. Work? Well yeah, if you, like me, enjoy retreating into a thriller/adventure novel instead of drinking. Besides, it's un-cool to drink in the car, mowing the lawn, or on the treadmill... All places where I turn my mind dow a bunch of notches. 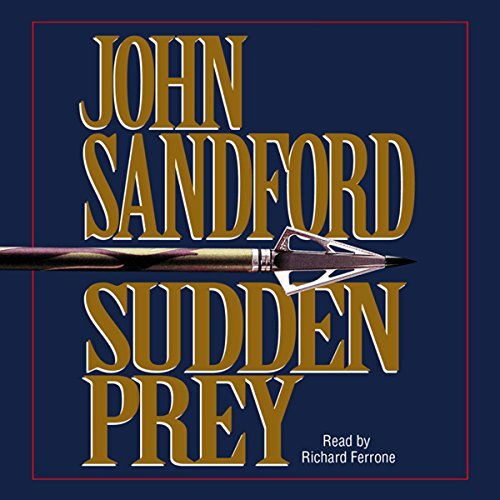 I was lucky enough to listen to three hours of "Sudden Prey" in the dentist's chair last week. And just using lucky and dentist in the same sentence is a pretty good compliment, huh. As always, Richard Ferrone's reading keeps every character distinct and, a lot more importantly, inventive components to the story arc. I really line the way Ferrone has characters say, "huh". If you've heard it, you know what I mean. In a couple of months, I'll get the next Lucas Davenport story, which isn't a bad review at all..... Huh. 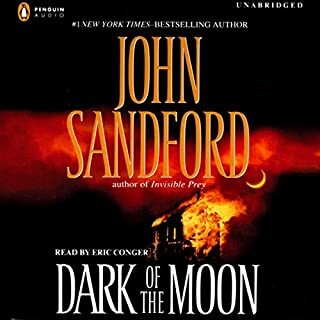 One of John Sandford's very best! 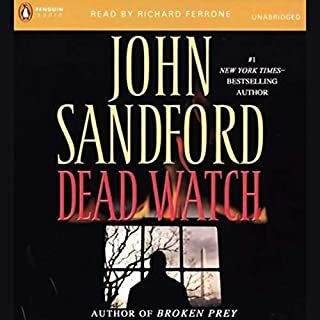 I love John Sandford's Prey series and have read most of them. I have read Sudden Prey before, but reading it again made me realize how intense and intricate some of the early books were. The amount of bureaucracy in the later books diminish the intensity and momentum I felt in this book. That I almost gave up a few times. However, it picked up and I loved it. Narration, as usual, fabulous. What a Drag! Near Misses Abound! 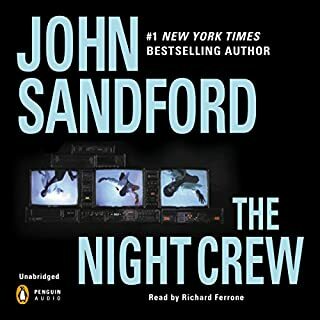 This is second book that I've listened to in the Prey series. Field of Prey was good. I decided to read more of the Prey series because a good friend recommended them, but I wish that I had not chosen this one... the plot dragged with too many "close calls or near misses" as one reviewer noted. How many times should the writer allow the villain or the good guy to go to a door or to a house to kill someone but only to find that they just missed them. This story had the good and bad guys chasing each other back and forth but to just miss them by some fluke or other. This story bored me and only because I love listening to narrator Ferrone and because I wanted the story to turn around and wow me that I finished reading it. I was not wowed... the story just kept going in circles until Davenport figured out who the "double agent" was working against the police. I don't know what it was but I really didn't like this Davenport book. I never could quite get into the story, which was not very compelling. 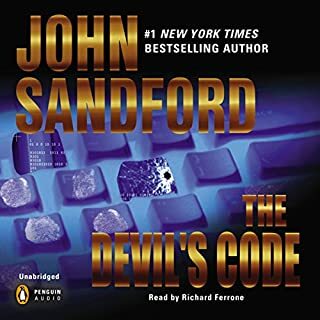 I prefer John Sandford's Lucas Davenport novels to his books in his Virgil Flowers series. This is yet another of his detective thrillers. Alll was good and held my interest. Narrator was very good and I am s fan of the series.